Studies indicate that about 65% of women dye their hair, so hair dyes can be bought in drug stores. However, these products are high in harsh chemicals. According to the National Cancer Institute (NCI), hair dyes contain more than 5,000 different chemicals. Mix a cup of henna powder with 2 cups of lemon juice, leave it to sit for 4-6 hours, and apply it on the hair. Comb, and wrap the hair in a plastic wrap, and leave it for 2-3 hours. Rinse with water. 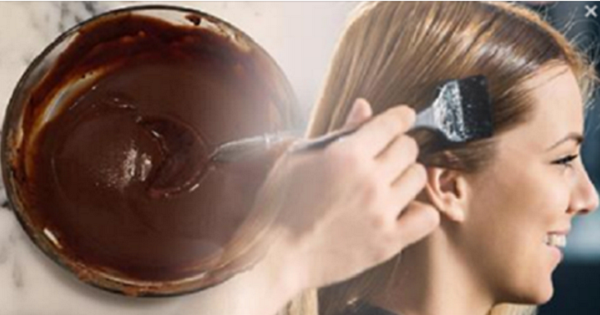 Coffee can effectively darken your hair and give it a chocolate color without damaging it. You should brew a strong organic coffee (preferably espresso), leave it to cool, and mix 2 tablespoons of it with 2 cups of leave- in all-natural conditioner. Apply it on the hair, and leave it to act for an hour. Then, rinse with apple cider vinegar for more permanent effects. You can also prepare a coffee rinse. Shampoo the hair and pour some coffee on it, leave it for 20 minutes, and rinse first with apple cider vinegar, and then with warm water. Repeat for a few days in a row until you get the wanted color. There are numerous herbs you can use to naturally dye your hair. For a red color, or to add reddish highlight, try calendula, marigold, rosehips and hibiscus. Simmer the herbs in water for half an hour. Then, strain, cool it and pour it on the hair. If possible, leave the hair to dry in the sun. For a dark hair color, try nettle, sage, or rosemary. Simmer the herb in water for half an hour, strain, cool, and spray/brush through your hair. Leave it for an hour, and rinse. For a blonde nuance, try saffron, chamomile, calendula, marigold, and sunflower petals. You can also use rhubarb root for the gray hairs. Add black tea for darker colors and catnip for lighter. Simmer for half an hour in water, strain, leave it to cool, and pour it over the hair. Leave it to act and then rinse. Tea is best with your natural hair color; and if you have lighter hair, use chamomile tea for blondes, and rooibos for redheads. To go darker and cover the gray hairs, try black tea.